Charles (“Chuck”) Dyke leads the firm’s national ERISA Litigation practice. His experience includes defending complex breach of fiduciary duty claims, litigating pension plan termination cases, and handling appellate matters. Chuck also has significant experience litigating trade secrets and complex commercial cases. 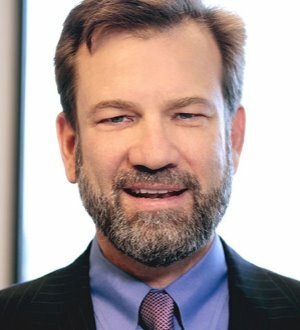 He has been recognized as a “Northern California Super Lawyer” each year since 2007 and is listed in Best Lawyers in America. Chuck speaks and writes on ERISA litigation topics. I have devoted my career to defending employers and fiduciaries in ERISA litigation, litigating and helping clients manage pension and retiree health liabilities under complex legacy benefit programs, and litigating complex business cases, including trade secrets and business-tort matters. I have handled or participated in ERISA and other appeals in the U.S. Supreme Court and the U.S. Courts of Appeals for the First, Second, Fourth, Sixth, Seventh, and Ninth Circuits. In 2014, I filed an amicus brief in the U.S. Supreme Court in Fifth Third Bancorp v. Dudenhoeffer as counsel of record for the ESOP Association. For the first two years of my legal career, I worked as a staff attorney at the PBGC on the agency’s Early Warning Program legal team. Prior to joining Nixon Peabody, I was a partner with Thelen LLP.